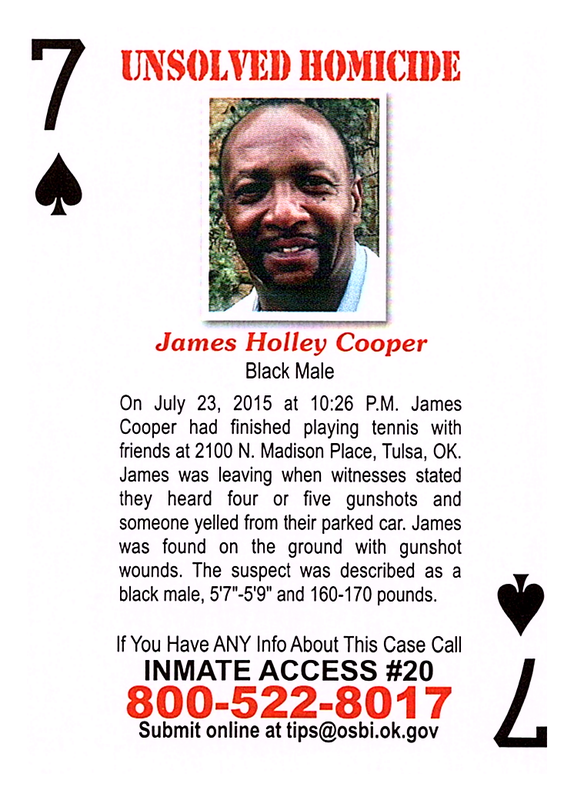 On July 23, 2015, at 10:26 P.M. James Cooper had finished playing tennis with friends at 2100 N. Madison Place, Tulsa, OK. James was leaving when witnesses stated they heard four or five gunshots and someone yelled from their parked car. James was found on the ground with gunshot wounds. The suspect was described as a black male, 5.7"-5.9" and 160-170 pounds.